A strong Wi-Fi connection brings many benefits for you: fast internet browsing, reliable online video and audio chat, quick downloading, etc. Sometimes you just need to move only a few inches physically, or to change some easy configurations to boost the wireless signal so that you get a high speed connection. 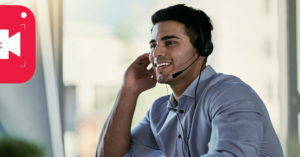 These free android apps help you manage, optimize, enhance and boost your wireless network connections. 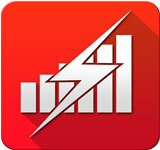 This Android app is a powerful tool which acts as a Wifi analyzer, manager, optimizer and booster, all in one software. Using this free application you could quickly find available hotspots, view their signal strength and info, and quickly connect to the one you want. 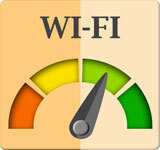 The network analyzer feature helps you gain a better Wifi signal by finding the best position. Devices with Android 2.2 or later versions could install and run this app. 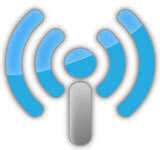 If you want to easily manage your WiFi networks and their signal ranges, then this app is for you. It professionally takes advantage of graphic shapes and bars to show status and strength of the nearby hotspots. You could even favorite whichever network you want for fast connection at any time by having it as a home screen widget. 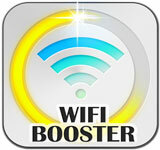 Most booster apps on the market are either for Wifi or mobile data connection. 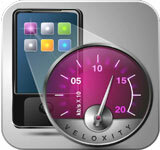 This app which is offered by Veloxity is one of few ones which could help you in both realms. It has many great features and tools including: consume internet bandwidth according to your data quota, real clean WiFi channel, time speed measurement, WiFi vs Cellular speed comparison, etc. The main features of this app is showing the quality of wireless networks by more than just signal strength but network load and interference as well. Also, the app doesn’t just measure the internet speed but shows it in real time as you access the internet. This Android internet connection app is very popular and has lot of great tools and features such as WiFi map which helps you find public hotspots, signal compass, coverage maps, speedtest tools, carrier ranking, etc. 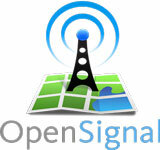 OpenSignal could be downloaded free from Google Play Store and has been installed on more than ten million devices so far. 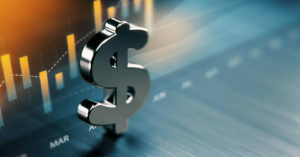 NETGEAR has offered an advanced analytics tool to analyze and optimize network connection. The features include network status and signal strength check, crowded channels detection, and so on. The app is free and accessible through Google Play. Sometimes the internet service you are provided by the ISP, carrier or the local AP is not of great quality and you can’t change a thing about that. But even if that’s the case you could take use of apps like this to take most of what’s in your hand. This app exactly do that by optimizing internet usage and Android system in your favor so that you’ll experience an enhanced and smooth internet browsing. This app works on rooted or unrooted cell phones and tablets, and is compatible with wireless or cellular data (2G, 3G, 4G, LTE) connections. Wonder which positions in your office or home are getting better Wi-Fi signals? 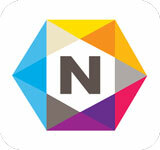 Want to discover interfering wireless channels of nearby networks? If you want the answers to these questions and similar one you could use this app for many easy-to-use and advances features like signal strength meter, interference monitor, and more. Please note that if these apps didn’t help you a bit in enhancing and strengthening your wireless network signal and overall internet speed, you could consider trying other methods to boost your speed. Sometimes simple tasks like changing your cell phone cover (especially those with metallic material) or updating router firmware could make lots of difference. However you could always head for more certain ways to boost the signal, such as buying and using a Wi-Fi repeater or booster antenna.